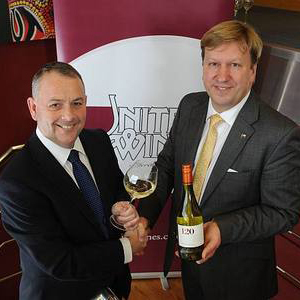 A leading South American winegrower has signed an agreement with United Wine Merchants for the exclusive distribution of the award-winning Santa Rita wines in Northern Ireland. The Santa Rita deal comes as a result of the success of sister brand Doña Paula, which has been distributed by United Wine Merchants in Northern Ireland since 2012. The agreement sees Santa Rita join United Wine Merchants’ portfolio of leading wines, beers and spirits. Martin McAuley, Managing Director for United Wine Merchants said: “Santa Rita is one of South America’s leading wines and we’re delighted that SREL has chosen United Wine Merchants to distribute the product in Northern Ireland. Terry Pennington, Commercial Director of Santa Rita Europe Ltd comments: “Santa Rita enjoys a leading position from Chile in both the on and off trade sectors in Northern Ireland and we feel that our partnership with United Wine Merchants will further increase sales of the wine. Santa Rita is one of Chile’s oldest and most enterprising wine producers and was founded in 1880 by Domingo Fernandez Concha. According to legend, following defeat at the battle of Rancagua in 1814, Irish descendant General Bernardo O’Higgins and 120 of his men took refuge in the estate cellars. Those 120 patriots regrouped and went on to successfully gain liberation for Chile. From the end of the 19th century to the mid 1970’s the property continued to prosper under the ownership of the García Huidobro family with the pioneering introduction of European grape varieties and technology in the Alto Maipo valley. Viña Santa Rita was acquired by the Claro group in 1980 and today the Santa Rita 120, Reserva, Medalla Real, Pehuen, Triple C and Casa Real brands demonstrate the quality, innovation and historical expertise in each wine produced. In August 2013 Casa Real 1989 became the first wine from Chile to receive the highly respected Decanter Wine Legend award .